After their archaeologist parents are kidnapped by the government, Oliver and his siblings, Tiffany, Austin, and Mason, head to a remote planet, Dar Isis, to discover what their parents were investigating. A planet about to be plunged into a very long winter, time is of the essence. When Mason and Austin get kidnapped by the natives while Tiffany and Oliver are out looking for someone, things start to look grim for the Wikk family. Can the four be reunited before time runs out? Can they save their parents? What were their parents looking into? Narrator, L.C. Kane’s unique voices bring to life each well developed, intriguing character. The narrative style is smooth and keeps up with the pacing of the novel with ease. The plot is well developed, mysterious, and draws the reader into Oliver’s world. The characters are likable and add humor to this science fiction adventure. Fans of Star Wars, adventure, action, and science fiction will enjoy listening to this book. In today’s world, it’s getting harder to meet “the one” or someone to hook up. Sites like Tinder can help its users to find these types of relationships, but the users have to understand how the apps work. How can one get their profile to stand out while still being honest? Especially when there is one girl for every six guys? From profile to first chat, Chris Hemswith explains the differences between what men and women typically look for in a potential match. He also explains the psychology of photos, what the different types of women are looking for, and how to create an honest, but effective profile for getting a hookup or a longer-lasting relationship. As a result, the listener is forced to rethink how they see themselves and how they present themselves online. Narrator, Randall Schaffer’s narrative style is smooth and animated is ideal for a non-fiction audiobook. His “conversation-like” voice makes the listener feel like the author is directly talking to them. Hemswith’s use of personal experience and research is not only useful and informative, but it is presented in an easy to understand format. 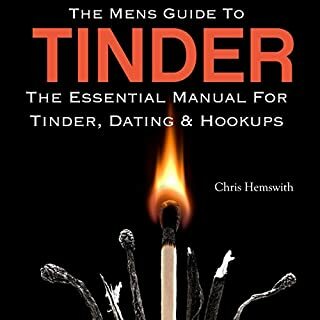 Although his insightful, unique tips are catered towards men and Tinder, they are universally applicable for both genders in any online/in-person dating situation. He also includes results at the end of the book. These not only show how his methods work, but provide hope to listeners. This is a must-have guide for anyone looking to try social media dating or who hasn’t had much luck online. Andy Buckland is no stranger to TV. The worst moment of her career happened when a live studio audience got food poisoning from one of her dishes. But when the pasta guru is given a slot in the televised cooking competition Diced Showdown, she sees her chance at redemption. In exchange for the shot at vindication Andy and her fiancé, Malcolm Jones, are tasked to find the identity of a mysterious blogger who has a nasty habit of revealing detrimental secrets of the show's top celebrity chefs. After her television cooking debut was sabotaged, Andy, aka “The Death Chef,’ Buckland longs to figure out who was behind it. Since moving back to her hometown, she’s rescued her family’s pasta shop, become engaged to her fiancé, Malcolm, and reunited with her estranged daughter, ex-boyfriend, and father. All that will come in jeopardy, however, when Andy’s former mentor and boss asks her and Malcolm to look into a blogger who is trying to bring down the show known as the “Diced Showdown.” To top it off, a chef from the show gets murdered, Malcolm comes home from a business trip with an infant son, and someone starts sabotaging Andy once more. Will Andy be able to get control of her life again? Who is the saboteur? Are they also the murderer? Narrator, Suzanne Cerreta’s unique voices masterfully bring to life each character’s unique personalities and accents. Characters are well developed, likable, and humorous. Her smooth intonations add depth to the author’s fast pace. The plot is well developed, engaging, and full of twists and turns. 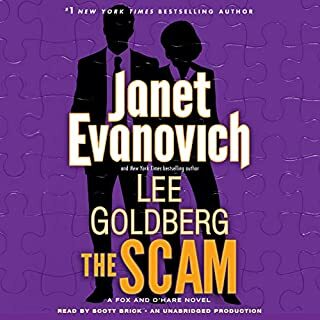 Impossible to put down, this is a must listen for anyone who likes humorous mysteries. It is recommended that people read/listen to the first two in the series, but it is not necessary. After a near fatal gunshot wound to the head almost a year ago, Shelby developed the ability to read minds. 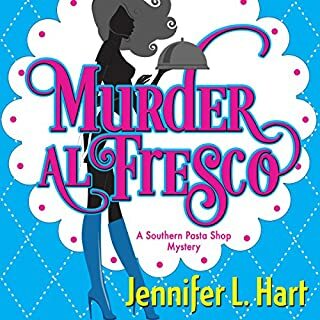 Since then, she has gotten herself shot at, framed for murder, targeted by a serial killer, and working part-time for mob boss, Joseph "The Knife" Manetto, aka Uncle Joey. When Shelby agreed to do a favor for CIA agent, Blake BoShane in order to protect Uncle Joey, she never imagined that that favor could be anything more than routine. While in France helping Blake with his case, a meeting with a rogue agent reveals a sinister terrorist plot. Shelby gets kidnapped only to be rescued by mob-htiman, Ramos. Now she and Ramos must face their deadliest challenge yet. Will Shelby and Ramos save France and themselves? Narrator, Wendy Tremont King brings Helme's memorable characters easily to life. Her unique voice add flare and depth to the plot and engage the reader. The dynamics between Shelby, Ramos, Uncle Joey, and her husband, Chris are believable and easy to relate to. The author does a great job of distinguishing thoughts from external dialogue andaction scenes.. The plot is fast-paced, intense, and well written. 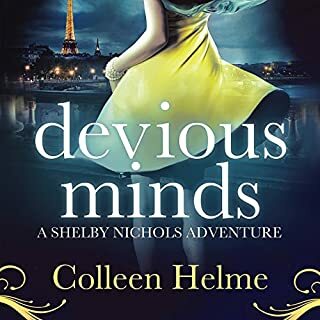 Reader who are familiar with Shelby's escapades or are new to the series will have a hard time putting this book down. Recommended for those who enjoy humor, mystery, and adventure books. In 1890s South Dakota, Amy and Joshua escape from their mean aunt Vootch. 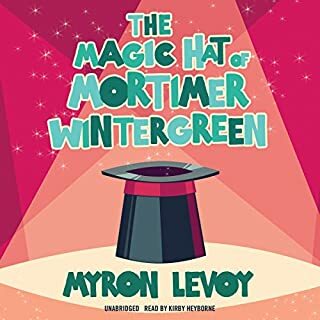 They plan to find their grandparents in New York and manage to team up with a traveling magician, Mortimer Wintergreen, who is also New York bound. Mortimer owns a truly magic hat with a temperamental, mischievous mind of its own. Adventures abound as their way is blocked by outlaws, runaway hot-air balloons, geese, and the persistent Aunt Vootch - but the hat is always ready for action. After their parents were killed in a Sioux attack, Amy and Joshua have been living with their evil Aunt Vootch. Set in 1890s South Dakota, Amy and Joshua are constantly working to the bone and getting punished by their card-obsessed aunt. When a traveling magician/peddler rolls through town, the two escape and hitch a ride with him. With the help of the man’s temperamental magic hat, the siblings and their friends head to New York to find Amy’s and Joshua’s grandparents. Aunt Vootch, however, is hot on their trail and determined to bring them back to South Dakota. Will the siblings find their grandparents in time? Narrator, Kirby Heyborne’s engaging narrative brings to life the unusual world of Amy and Joshua. His unique voice adds depth and humor to the characters and their personalities. The plot is well developed, funny, and easily draws the reader into the book. The narrative style of Kirby easily complements the writing style of Levoy. Fans of humorous fantasy adventures will enjoy this delightful read. Throughout her studies, Ceony Twill has harbored a secret, one she's kept from even her mentor, Emery Thane. She's discovered how to practice forms of magic other than her own - an ability long thought impossible. While all seems set for Ceony to complete her apprenticeship and pass her upcoming final magician's exam, life quickly becomes complicated. 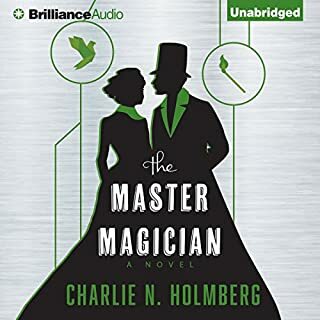 To avoid favoritism, Emery sends her to another paper magician for testing, a Folder who despises Emery and cares even less for his apprentice. Ceony Twill’s at the end of her studies and is about to take her magician’s exam. Her relationship with Emery has continued to grow romantically, but politics regarding master-apprentice romances is heating up. If Ceony every wants to be with Emery, she must pass her test as soon as possible. Sent to prepare for the exam with another folder, magician Prit. Being enemies with Emery, Prit has every intention of delaying Ceony from passing her exam. With old enemies resurfacing and Emery temporarily out of the picture, will Ceony be able to survive to pass her test? Will she be able to take her test or will Prit find a way to sabotage her? Narrator, Amy McFadden does a great job of bringing to life Ceony's world. Her unique voices provide the listener with a unique, versatile narrative style. The plot is well developed, engaging, and keeps a fairly fast pace despite its historical setting. The characters are likable and humorous. The dynamics between them are enjoyable and McFadden easily navigates their dialogue. Readers who like to get to know the characters well will appreciate the mix of action adventure with the more serious matters of the heart. It does feel off for the time period, however, for Ceony to be so gung-ho about trying to solve her own problems without any help. Also, he problems with Prit never really resolved themselves, but the humor and rivalries that come to light make up for it. Recommended for those readers who like an action-packed, historical fantasy adventure. Well into her apprenticeship with Emery Thane, 20-year-old Ceony Twill is still studying folding magic. She has, however, been harboring the secret that she can also wield other magics as well. Although she has told no one of her secret, two men from her and Emery’s past are convinced that she knows the secret behind wielding multiple magics. Vowed to stop at nothing to get the secret from her, Ceony knows she must discover the true limits to her powers before it’s too late. Will she succed? Will Emery figure out her secret? Narrator, Amy McFadden does a great job of bringing to life Ceony's world. Her unique voices provide the listener with a unique, versatile narrative style. The plot is well developed, engaging, and keeps a fairly fast pace despite its historical setting. The characters are likable and humorous. The dynamics between them are enjoyable and McFadden easily navigates their dialogue. Readers who like to get to know the characters well will appreciate the mix of action adventure with the more serious matters of the heart. It does feel off for the time period, however, for Ceony to be so gung-ho about trying to solve her own problems without Emery’s help. Also, some of the battles with Grath and Sarag drag on a bit, but the humor and action mixed in make up for it. Recommended for those readers who like an action-packed, historical fantasy adventure. 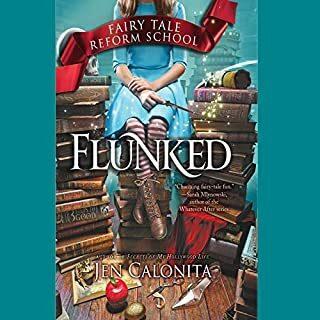 When Gilly is caught stealing bread for her family, she is sentenced to three month at the Fairy Tale Reform School. The school would be a dream place to live it weren’t for the former villain teachers who may or may not have given up their evil ways. Something sinister, however, is going on at the school. When the royal princesses come to inspect the school and someone tries multiple times to kill the, Gilly wonders if someone is trying to start a war or worse. She enlists the help of her friend, Jax. He, however, is hiding something. Can Gilly save the school and her new friends? Can she trust Jax? Who is trying to sabotage the school? Narrator, Kristin Condon brings to life Gilly’s world with her unique intonations and easy to follow voice. Her unique voices bring out the characters’ personalities and make them easy to relate to. The plot is well developed, engaging, and has lots of plot twists. Kristin navigates the different scene paces and plot twists with ease without losing the reader. 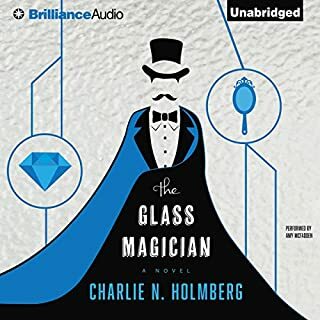 Fans of fairy tale retellings, snarky main characters, fantasy, and mystery will enjoy listening to this audiobook. Do you remember watching Princess Bride for the first time? The magic that came as you watched the swashbuckling fantasy adventure romance unfold? Hear Cary Elwes tell his own story of how he came to be a part of the Princess Bride, what his experiences were being on set for the first time, what is was like to learn to sword-fight, and more. Experience Princess Bride for the first time all over again. Cary Elwes does a fantastic job of narrating his story. The addition of some of the other cast members narrating their parts of the story was unique and fun to listen to as well. The mix of humor with internal dialogue was well depicted and easily drew listeners into the book. The chapter set up made sense and helped to paint a picture for listeners of how the film unfolded in its creation. 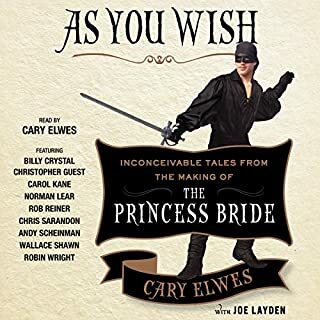 Fans of Princess Bride or who like Cary Elwes in other productions will enjoy listening to this audiobook. Nicolas Fox is a charming con man and master thief on the run. Kate O'Hare is the FBI agent who is hot on his trail. At least that's what everyone thinks. In reality Fox and O'Hare are secretly working together to bring down super criminals the law can't touch. Criminals like brutal casino magnate Evan Trace. Crazy cliffhanger, #5 better not take a year! Nicolas Fox and Kate O’Hare are back and this time are bringing down a casino baron. Evan Trace runs a money-laundering scheme through his casino and the FBI wants to stop him. The duo goes undercover with Kate’s father, some former associates, Billy Dee and Boyd Capwell. Will the group be able to pull off the scam and bring down Trace or will this job be too much for them? Narrator, Scott Brick does a great job of bringing the world of Kate and Nick to life. His voices are unique and make the well-developed characters easy to distinguish. The dynamics between the characters is humorous and realistic. The plot is a well developed page turner that grabs the reader from beginning to end. This book is a delightful addition to the Fox and O’Hare series. 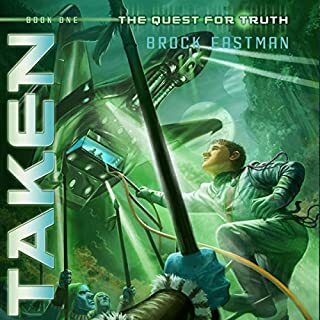 Readers that have enjoyed the other books in the series will have a hard time putting this audiobook down.